We gathered in our thousands, pitched our tents and prepared for what we expected to be an epic weekend of great music and a lot of fun. We got it by the bucket-load at this year’s Big Church Day Out. The eagled eyed readers of the Sound Doctrine will know that it has been five years since we were last there and since then it has grown, and has a lot more to offer musically and activity-wise. We’re not the only ones who are putting this year’s event as their favourite, and even the BCDO regulars will have enjoyed the lineup. By some absolute (YouTube assisted) miracle, we managed to pitch our tent in time to see Guvna B open up the main stage on the Saturday. It’s great to see him perform to a big audience. Five years ago, he was rapping in front of a more modest crowd on the B stage but this year he played to packed crowds on both stages. In fact, we saw a few artists double up over the weekend, offering different sets and showing different sides of their performances. LZ7, for example, were also one of the acts to get the crowd moving early doors as they played the opening set on the Sunday. And even though they played on the Illuminate stage later on the same day, both sets were high octane, high energy and had us reaching for the water bottles by the end. But as well as the main stage and Illuminate stage, there was also the return of the tea tent, this year sponsored by Tearfund. 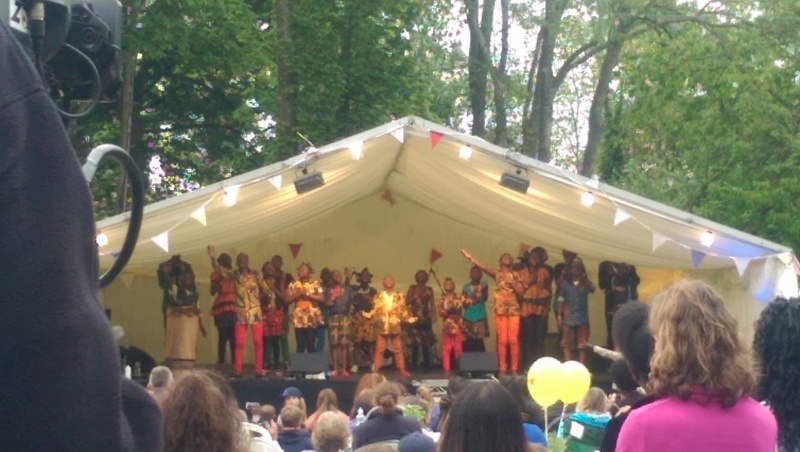 There, we enjoyed the daytime sunshine and watched the Watoto Children’s Choir in the day and returned for the after hours party when the main stage had finished on the Saturday night. We also got to see sit-down interviews with some of the headline acts in the UCB backstage tent. Yes, it was hot in there but yes, it was totally worth it. 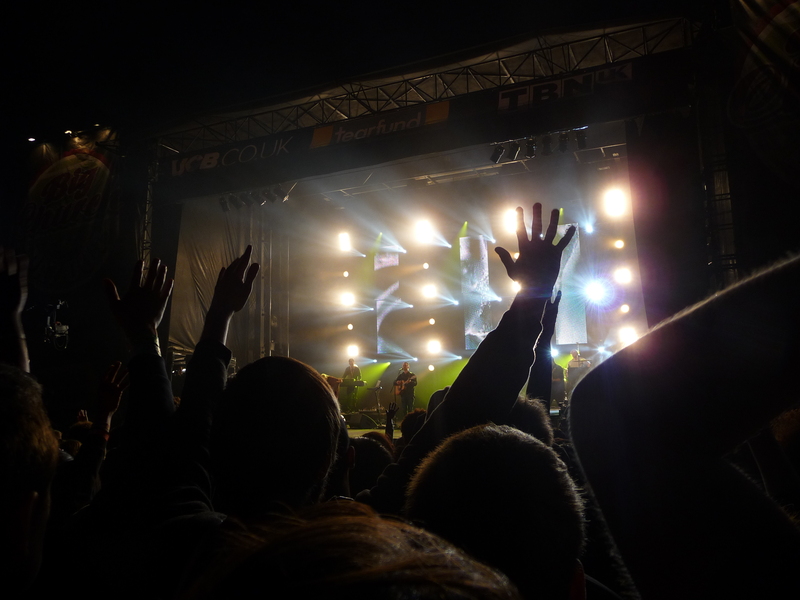 Planetshakers made their debut at this years event. Their worship set was fantastic and stood out as one of the highlights of the weekend. 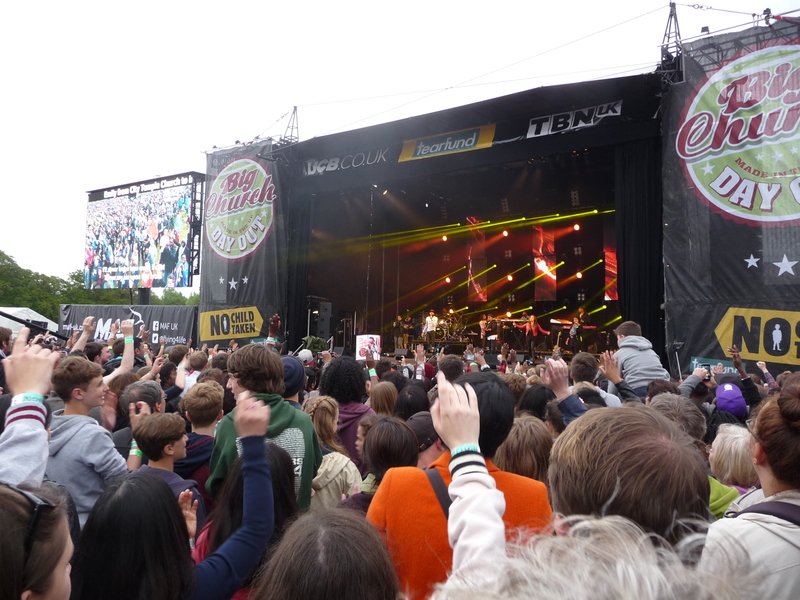 Then came Israel Houghton – no stranger to BCDO, having played almost all of them. But he never gets stale. The track Risen was among our faves, along with a reggae version of Mighty to Save. And yes, it worked. With the sun set and lights beaming from the stage, Bethel Music brought the first night to a close. Sunday’s Illuminate stage was opened by Roger Samuels – an unexpected favourite of ours from a weekend of international best selling artists. Although the weather wasn’t a perfect fit for it, Christafari did a ‘let’s pray for sunshine’ reggae set. We got a little sun but we were most thankful that we didn’t get rained on! Jesus Culture ended the second day in fine form with a fantastic set but the best performance in our view was from Lecrae. Since his last visit to the UK, he’s become a chart-topping star and his developed a wide back catalogue of work to draw hits from. But it was the tracks from his most recent album Anomaly that rocked the stage. His main stage set was fantastic. It was a generalist crowd that weren’t all familiar with his work. But that didn’t matter. By the end of his performance, he’d won them over and showed why he was one of the biggest selling artists of last year. But it was Lecrae’s second performance, this time on the Illuminate stage, that made our weekends complete. A smaller, but more hip hop savvy crowd gathered. First DJ Promote did a mini DJ set to get the audience hyped. 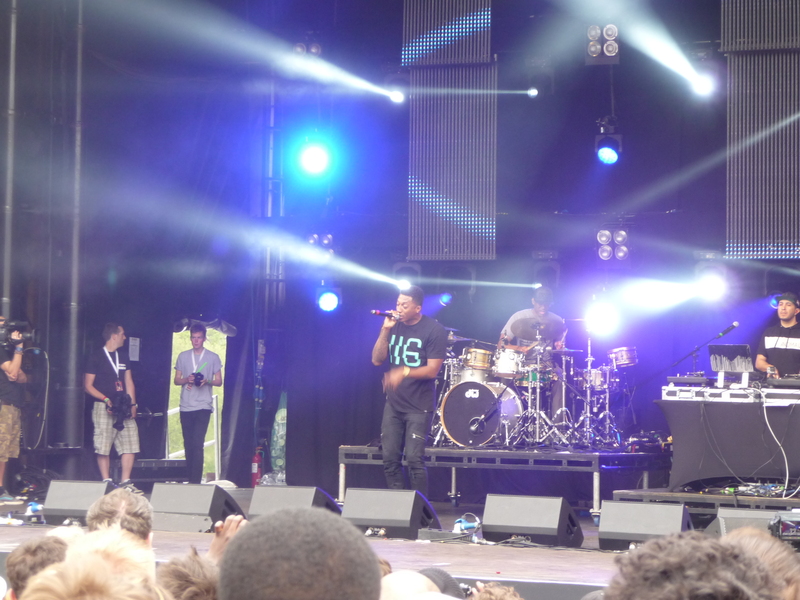 When Lecrae finally came out, he gave a performance we won’t forget for a long time. As well as a few more album tracks, he gave us some gems from his most recent mixtapes, including Church Clothes 2, as well as some of his current collaborations such as KB’s Sideways and Trip Lee’s Manolo. The crowd reactions were unbelievable. Perhaps the most incredible thing of the weekend was the fact that our tent stayed standing until it was time to take it down this morning. But the thing that will stay with us is the music, and its powerful message that entertained us but also empowered us, encouraged us and brought new people to Christ. And on Pentecost weekend in particular, that can only be a good thing. Previous Post When will the barriers in Christian music come down?